You are here » frostvalley.org » Overnight Camp » CITs Celebrate the Fourth of July! CITs Celebrate the Fourth of July! CITs played an integral role in our annual Fourth of July celebration, which actually took place yesterday on the Fifth. Yesterday’s all-camp activity celebrated the diversity of our country and our world with various booths run by international staff members, music, and games. The CITs helped distribute snacks, supervise campers, and facilitate activities. 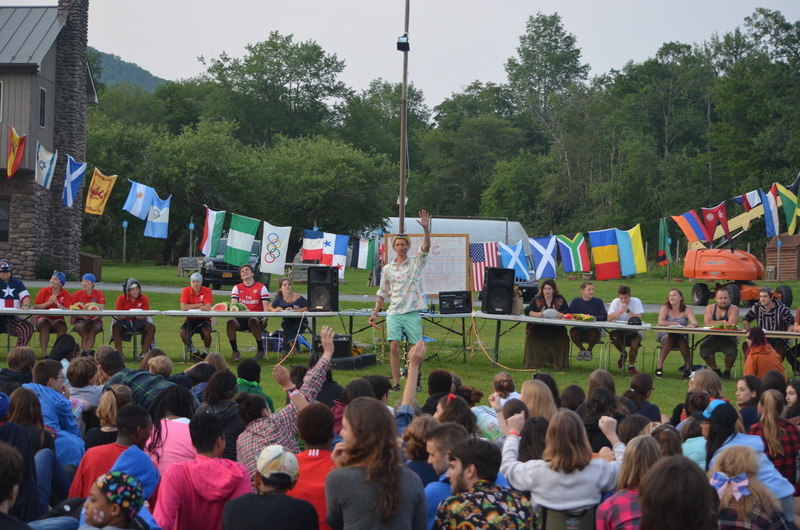 The festivities were a huge hit with campers, staff, and CITs alike! Tonight we have fireworks to cap it all off, which will undoubtedly be a great time!